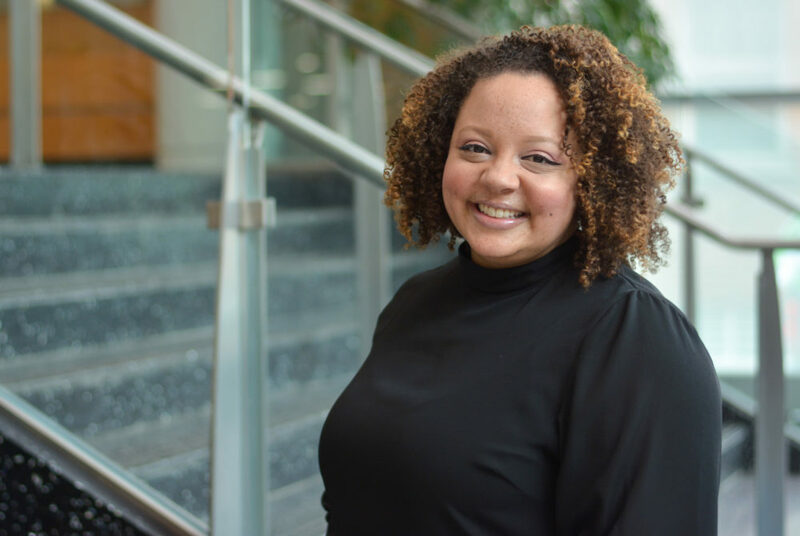 Jordan West, who stepped in as the inaugural diversity and inclusion education director last semester, said she has facilitated hundreds of conversations with students and faculty on campus to help them identify and combat explicit and implicit biases. Jordan West has had a successful day when she makes a student or professor feel uneasy. She often stands in front of dozens of students or faculty and asks them questions that may uncover implicit racial or gender biases: Who do you picture as the driver of a car traveling particularly slowly? What kind of person comes to mind when you think of a doctor? West, who stepped in as the inaugural diversity and inclusion education director last semester, said she has facilitated hundreds of conversations on campus with students, faculty and officials to help them identify and combat explicit and implicit biases. “The goal is never to make you feel like you’re being called out but that you’re being called into this work and that I’m providing you with a space to feel like you have a role here,” she said. West set foot in Foggy Bottom months after a racist Snapchat incident last February prompted a slew of diversity and inclusion initiatives, including hiring West for her position. Most unconscious bias trainings, which she can host multiple times each day, last roughly an hour and can include longer retreats with fraternity and sorority leaders or the Student Association, West said. She also hosts more informal trainings through short conversations with students or a group of faculty, she said. West said she typically closes each training session with a homework assignment or “food for thought” to help faculty and students consider how their biases carry into their everyday lives. This semester, West will help hire new faculty for the fall and plan a new student orientation, which will take place this year about a week before the fall semester instead of over the summer. West said she is “excited” to be involved in conversations with faculty and officials about how to ensure every decision ties back to diversity and inclusion. “I think that’s a reflection of the readiness and eagerness of colleagues and students and faculty and staff to have a person to be able to say, ‘Well, did we think about this? Who is not at the table? What voice is not being heard? Who is excluded from that process? Who is involved?’” she said. She added that she plans to revamp the website for the Office for Diversity, Equity and Community Engagement this semester to include YouTube videos and news articles about unconscious biases. She said updating the website will encourage people to utilize resources on the page rather than only visiting the site to view the office’s location. SA President Ashley Le, who served on West’s hiring committee, said she remembers West asking her why she wanted to stay at GW – a “surprise” given that Le was part of a group conducting an interview, not sitting for one. She added that West met with SA leaders during their annual retreat last fall to introduce herself and discuss projects like the SA’s task force evaluating buildings named after those with problematic histories and a student-led movement to change the Colonials nickname to something less offensive. West gave SA leaders the idea to form a building name committee with more than just student leaders because the group “has to be a communitywide effort,” Le said. Sammy Chuan, the vice president of diversity and inclusion for the GW College Democrats, said he met with West in November to discuss how he can shape his position and ensure the organization is reaching multicultural student organizations. “She gave me advice on how to educate myself, Dems’ e-board and our organization as a whole to allow diverse dialogue and to be mindful of our own prejudices on certain topics in politics,” Chuan said in an email. SA Sen. Hayley Margolis, CCAS-U, said she met with West in October about setting up meetings with alumni to discuss changing the Colonials nickname during Colonials Weekend in the fall, but West advised her against it because officials were still discussing the matter.